Whether it’s a hot summer day or a cold winter evening in Vancouver, a delicious scoop of ice cream is the perfect treat to lift your spirits and brighten any day. This bustling city in Canada is home to numerous ice cream shops that will completely transform your idea of what ice cream is, using the very best locally sourced ingredients to create incredible unique homemade flavors. Below, we guide you through the absolute best shops in town where you can try truly spectacular versions of this favorite frozen creation. First place winner of the 2012 Florence Gelato Festival, Bella Gelateria offers gelato and dairy-free sorbetto daily in artisan batches from scratch. The gelateria opened in June of 2010 and quickly captured the authentic gelato market using old-world handcrafted techniques and making all the gelato at home in the gelateria. Working with local farmers and growers, Bella Gelateria uses only the best local and global ingredients, so all flavors are in season and rotated daily. Their gelato is well under 8% fat compared to the average ice cream, so you can eat healthier – or more of it. Some of the most popular flavors include black sesame, earl grey, salted hazelnut, lavender, toasted pecan, and dark chocolate. Bella Gelateria is also home to a true Italian coffee shop that uses the famed Milano coffee beans, and they use only real chocolate for their hot chocolates. Bella Gelateria has become a hot spot for people looking for artisan gelato and an experience of the kind of quality that can be found in Italy. Since opening in November of 2013, Rain or Shine Ice Cream has served up homemade ice cream made with fresh, natural, and sustainable whole ingredients sourced locally, seasonally, and organically whenever possible. 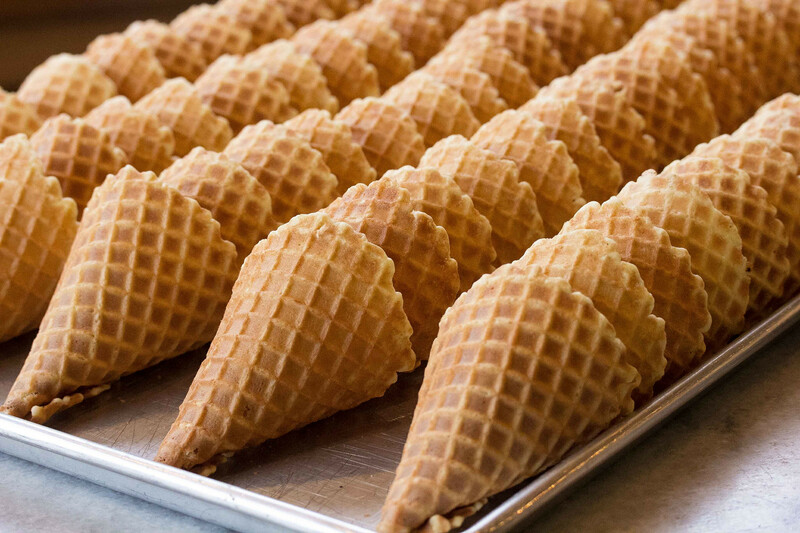 Patrons fall in love with the crispy, light waffle cones that are the perfect complement to the delicious ice creams. Rain or Shine offers both regular and seasonal flavors of ice cream, with some of the most popular choices being brown butter snickerdoodle, coffee toffee, honey lavender, and the vegan coconut chocolate chunk. They also have a wide assortment of tasty toppings, including the crowd favorite candied hazelnuts. The shop has a nice wooden bench area right outside, perfect for enjoying your frozen treat in sunny weather. Because the place is quite popular, there are often lines going out the door, but the staff is always quick and efficient, so guests never have to wait too long. Born from friendship and a shared love of ice cream, Earnest Ice Cream launched in 2012 with the goal of creating ice cream that expresses a passion for flavor and a business that embodies the owners’ values by making the world a better place. Earnest Ice Cream works in small batches, allowing for flexibility to experiment with foraged ingredients like fresh spruce bud and elderflower. The shop features rotating seasonal flavors alongside classics like salted caramel and mint chip, and they also serve espresso and affogatos (espresso poured over ice cream) using locally roasted Matchstick coffee. Since 2014, Earnest Ice Cream has been working with Bullfrog Power to source green electricity, and as a result, the shop has prevented approximately 8.5 tonnes of carbon dioxide from entering British Columbia’s atmosphere. They also recently partnered with Climate Smart to measure and reduce their carbon footprint. 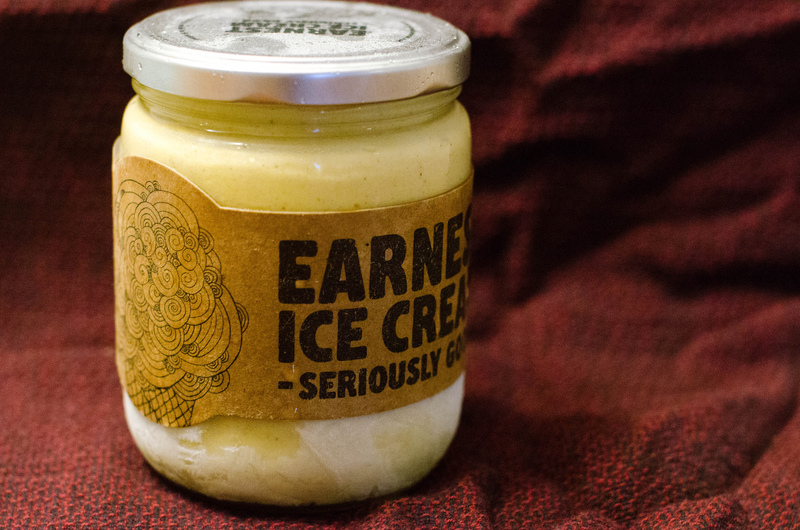 A lot of people recognize Earnest Ice Cream by the glass jars the ice cream comes in, which are chosen both because they are pretty and because they have a goal of becoming a zero waste company. After patrons are done with their ice cream, they can wash out and return the jar and lid for a dollar back. Every jar returned saves energy expended on making a new one. 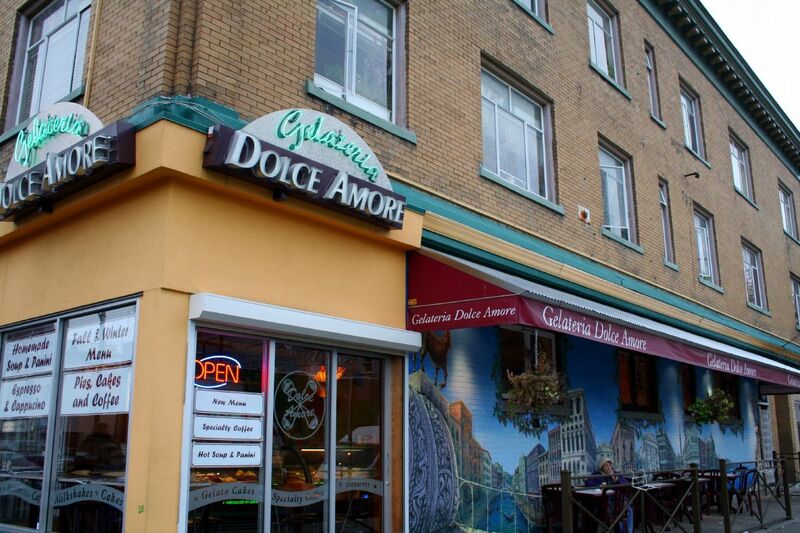 Located in the heart of Vancouver’s traditional ‘Little Italy’ on Commercial Drive, Gelateria Dolce Amore is a family-owned and operated gelateria with neighborhood roots that are four generations deep. Dolce Amore’s gelato makers combine the creativity of an artist, the inspiration of a chef, the discipline of a craftsman, the precision of an architect, and the passion of a composer to handcraft the shop’s incredible gelatos and sorbettos. Their commitment to this special artisan craft is evident in every taste. The shop’s gelatos are made in small batches, with flavors that range from delicious favorites to select daily decadent creations. Favorites include KitKat, rocher, blueberry cheesecake, caramel popcorn, pistachio, kinder surprise, salted caramel, and s’mores. Most of Dolce Amore’s sorbettos are made using fruit puree mixed with sweeteners, churned to perfection. Few contain any fat or dairy products, and the dense textures and intense flavors of each sorbetto come from nature’s best. Patrons especially love that the staff at this gelateria are very generous with their scoops, even allowing guests to choose two flavors for the single scoop option, which is like getting two scoops for the price of one. The shop also sells gelato bars and gelato sandwiches, along with pies, cakes, and other small desserts. Featuring homemade ice cream using fresh local ingredients, Rooster’s Ice Cream Bar wants its guests to feel right at home, putting heart and soul into the ice cream and focusing on the small batch, artisan process. With a wide variety of light to rich ice cream flavors, a great price to portion ratio with generous scoops compared to other local shops, friendly staff, and locally sourced waffles, this recently opened locally owned shop has quickly become a favorite among Vancouver residents and visitors alike. Patrons love the unpretentious atmosphere, the more experimental ice cream flavors like Organic Roasted Choco Banana and Avocado & Honey with Vodka, and the huge samples. The most popular choice by far has been the Triple Strawberry, which packs a powerful punch thanks to plenty of juicy strawberry bits. 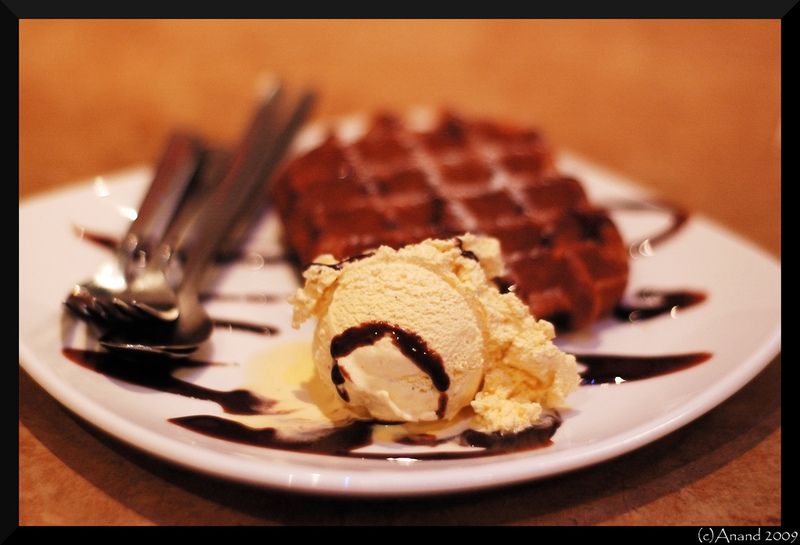 The shop has also recently started offering amazing ice cream-stuffed donuts, hot Belgian waffles topped with ice cream and chocolate and caramel sauces, and affogatos and coffees. In addition, they even sell a selection of tasty premium chips and gummies to satisfy all snack cravings.